Our watchdog team alerts consumers about contaminated food and advocates for commonsense public health protections. We should all be confident that the food we buy won't make us sick. Unfortunately the food on store shelves and served at restaurants is probably not as safe as you think. Meat and poultry recalls that pose a serious health hazard or death increased 83 percent over six years. In 2018 we’ve seen two complete, nationwide recalls of romaine lettuce because of E. coli contamination; twelve million pounds of beef recalled because of antibiotic resistant Salmonella contamination; and snack foods, including Goldfish and Ritz crackers pulled from store shelves because of contaminated ingredients. These recalls were implemented only after hundreds of people got sick. And the first romaine E. coli contamination resulted in at least five deaths. Unfortunately, those high-profile examples are just the tip of the iceberg. The Centers for Disease Control and Prevention estimate that one in six Americans contract foodborne illnesses, and shockingly, 3,000 people die yearly from eating contaminated food. Certainly in an age where gourmet, ready-to-cook meals are delivered to people’s doorsteps every month, our food safety systems can ensure the meals we eat won’t make us sick. Most of these recalls and many food-related illnesses can be prevented through simple, commonsense actions that would block the contamination from happening in the first place. And when dangerous food is discovered, stores should stop selling it, and people should be alerted early and given clear guidance on how to identify any contaminated food in their homes. Believe it or not, even when testing reveals Salmonella in a batch of beef, turkey, chicken or other meat, that meat can still be sold. A recall is only issued after people start getting sick and we know it was caused by that meat. The problem is compounded when some of these dangerous pathogens can be resistant to antibiotics and can’t be easily treated. MontPIRG and our national network are calling on the USDA to stop allowing the sale of meat that testing reveals is contaminated with dangerous, antibiotic-resistant Salmonella. Right now, farmers who grow our lettuce, broccoli and other produce have no obligation to test the water they use for dangerous, pathogenic E. Coli. That’s likely how the lettuce recalled in early 2018 was contaminated. MontPIRG and our national network are calling for the USDA to require growers to ensure water used on produce has no dangerous bacteria in it. 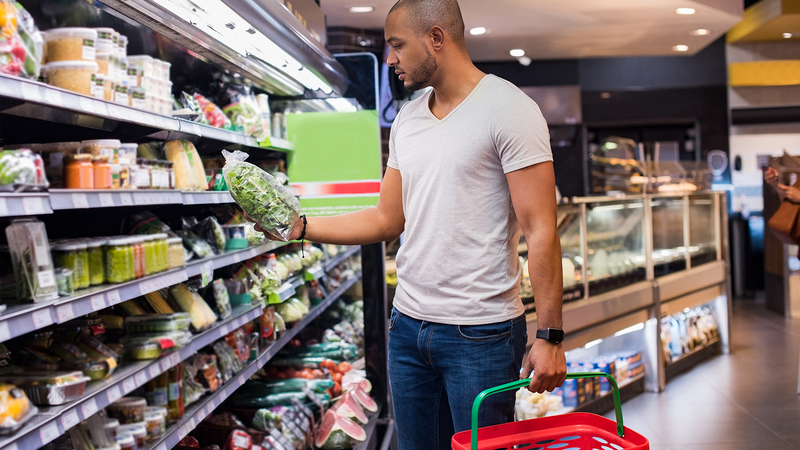 When dangerous food is discovered, we need to ensure it is immediately removed from store shelves and individuals are alerted what to look for in their homes. MontPIRG and our national network are calling on the FDA for stronger enforcement and oversight of the nation’s food producers and retailers, and a better system for alerting consumers that they may have dangerous foods in their homes. Even if beef processors find salmonella in their meat, they can continue selling it until there's a major disease outbreak. Just in December of 2018, nearly 250 people in 25 states have been infected with a strain of Salmonella linked to beef. Credits: Top image, Rido via Shutterstock.com; Salmonella, CC BY2.0 NIAID via Flickr.com; Lettuce field, Tish1 via Shutterstock.com; Woman looking in fridge, Andrey Popov via Shutterstock.com. A report on U.S. food safety recalls.